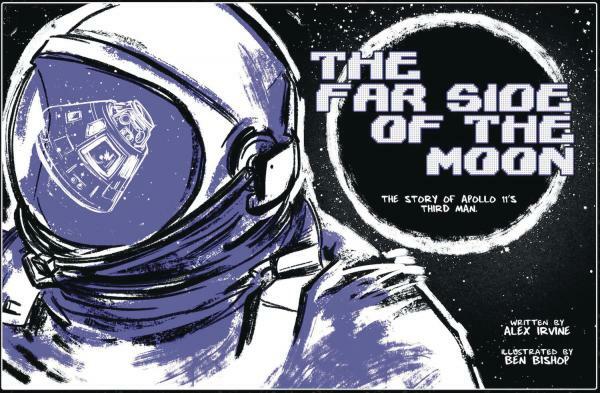 This graphic retelling of the Apollo 11 moon-landing mission follows astronaut Michael Collins, commander of the lunar orbiter, to the far side of the moon. When the Earth disappears behind the moon, Collins loses contact with his fellow astronauts on the moon's surface, with mission control at NASA, and with the entire human race, becoming more alone than any human being has ever been before. In total isolation for 21 hours, Collins awaits word that Neil Armstrong and Buzz Aldrin have managed to launch their moon lander successfully to return to the orbiter, a feat never accomplished before and rendered more problematic by the fuel burn of their difficult landing. In this singularly lonely and dramatic setting, Collins reviews the politics, science, and engineering that propelled the Apollo 11 mission across 239,000 miles of space to the moon.